Suzanne Mercier is an authenticity speaker, a highly experienced strategist, leadership champion and expert in the area of human potential. Suzanne has been improving business and individual performance for more than 25 years. Her focus is on removing the barriers to performance for talented Leaders and Managers within organisations. As a result, she has improved employee engagement and enhanced performance at every level. As the first woman on the Board of Directors at George Patterson Advertising and a strategy planner for the agency, Suzanne worked to create maximum customer engagement for leading brands in banking, food, cosmetics, animal products, beverages, fine china and crystal. 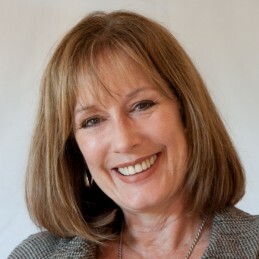 Suzanne develops and delivers transformational keynotes, activities-based workshops, facilitative consulting and Executive Coaching designed to identify and remove the barriers at all levels, to liberate leadership, improve management capability, lift sales results and identify potential to enhance business performance. In her high level marketing roles with Coca Cola Amatil and Schwarzkopf, Suzanne was responsible for the launch of several well-known fast moving consumer goods brands that remain on the shelves today. For 20 years, Suzanne has run her own business and for the past 15 years, has focussed on speaking, training, coaching and facilitative consulting to create sustainable and profitable businesses. Her clients come from a wide variety of industries including shopping centre management, higher education, financial services, technology, heavy equipment, health, fitness, cosmetics, commercial real estate, publishing and industry funds. Suzanne is a thought provoking speaker and a published author.